EARLY REGISTRATION SAVINGS | Confirm your spot and lock in commitment-free savings! There’s so much to look forward to and also a few things you’ll want to do to prepare! Check out the information we’ve compiled for you below, and start getting excited (and ready)! Get peace of mind in Israel with a local medical insurance policy. Through a partnership with a leading Israeli insurance provider, Harel, travelers from abroad can obtain local health insurance in Israel that covers treatment and medication. Even if you have coverage at home that extends abroad, you would still need to pay out of pocket in Israel, and then file a claim with your home insurance provider once you return. The same is true for travel insurance policies that include a medical benefit. In other words, the Harel local medical insurance policy is a convenient way to receive medical care in Israel without hidden costs or paperwork headaches. This policy does not cover injuries related to “extreme sports” (ATVing, rappelling, surfing, etc.) or self-inflicted injuries. To include an Israeli medical insurance policy as part of your travels with us, complete the form below at least 14 days in advance of your arrival date. Your policy will be registered under your date of birth and passport number, and a policy confirmation will be issued via email approximately a week prior to your arrival date in Israel. 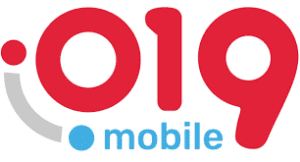 What is the name of your travel program? What are the dates of your tour? Insure your investment, and plan ahead for the unexpected. Travel Insured International provides a comprehensive insurance package that’s backed up by a customer support team based in Israel. Under the terms of this policy, children under the age of 18 traveling with a parent(s) are covered for FREE! Eligible travelers must reside in the USA on a trip no longer than 180 days. *These supplemental benefits are only available if the policy is purchased within 21 days of your trip deposit and if all non-refundable trip costs are insured. Cancel for any reason benefits are not available to New York residents. Insurance premiums are calculated as a function of total trip costs according to the table below. All trip costs must be covered, including flight costs and other travel arrangements booked on your own for the policy to be valid. If you have not yet confirmed your flight costs, the policy can be supplemented once your final costs are confirmed. 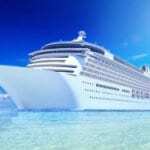 The policy may be ordered up to a day before departure, however, pre-existing conditions are covered only when the policy is issued within 21 days of placing your initial trip deposit or purchasing flights. This travel insurance policy can be canceled for a refund up to 14 days following the purchase date. Contact Jeff Barr at jeff@travelinsuranceisrael.com or 1-877-813-2304. He’s available Sunday-Thursday from 9am-6pm EST. The above is a summary of benefits and terms. All benefits subject to plan exclusions. See policy for details. Get all the peace of mind from having a professional travel agency book your international flights without paying a premium. Authentic Israel partners with Traveland to provide concierge flight booking services. Traveland’s experienced travel agency professionals will work with you to find the best possible flights, manage your reservation, advise you of schedule changes and protect you on alternate flights in the event of flight cancellation. Concierge flight booking services are provided for Authentic Israel clients free of charge, and you will pay only the airfare, most likely as you would see it online. To get started, complete the form below or contact Traveland at 1-800-978-6333, Ext 256 or 223. Stay connected from Israel without paying sky-high international roaming fees or relying on spotty wi-fi access. Take advantage of discounted rates and free pick-up at Ben Gurion Airport for mobile services at www.stayconnectedabroad.com. Book activities, day tours and multi-day excursions on our iBookIsrael platform. 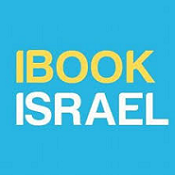 Choose from an array of in-house and 3rd party experiences in Israel and in neighboring countries – all of which are backed up by our reliable iBookIsrael staff team. For those short on time, day tours are a great way to see the sites. 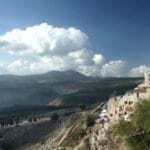 Choose from options in Jerusalem, the Dead Sea, Masada, Bethlehem, Tel Aviv, the Galilee, and more! Whether it’s museums, cultural pursuits, walking tours, bike tours, or exhibitions, there’s something in Israel for you. You’ll be amazed by the range of attractions offered! See Israel in a whole new light with one of these exceptional cruise options! 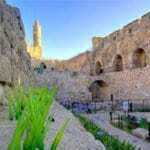 With over 20 options, you’ll be sure to find your ideal shore excursion in Israel. Get everything you need to plan ahead with confidence for your travels from our trusted partners. Whether you’re ready to go or looking for more information, we’re here to help!